A few summers ago, I signed up for a workshop offered by the Monarch Teacher Network of Canada. The registration fee was being subsidized by my school board, and I figured, why not? It ended up being one of my favourite professional development workshops and has had a profound impact on my teaching. Since then, my … Continue reading If We Build It, Will They Come? When I first told my friends and family about my selection for the Grosvenor Teacher Fellow Program, they were, of course, overjoyed for me. But, well-intentioned, many have since asked me questions like, “You don’t teach geography, so how did you get selected?” It’s true that many Grosvenor Teacher Fellows are not geography teachers. 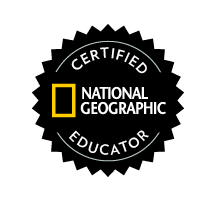 We are … Continue reading What Is Geographic Education?